5) Hear Some Great Missions Messages by Piper and Others — Free! and its partners in Dallas and the UK. 1. Visit Manage Your Kindle (www.amazon.com/manageyourkindle). 2. From the left navigation, click Country Settings. 3. Under Current Country, click Change to select an existing address or enter a new address. like to shop? Follow the on-screen instructions to change your preferred marketplace. Its goal is to provide helpful tools which prepare for transition into American life and college. The dates are August 5-11, 2013 at Bethel Christian Camp in Gaston, SC. 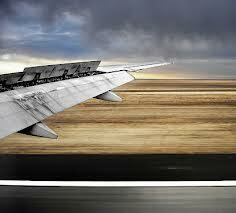 We first learned about VSee from MAF, the airplane and technology folks. Now, VSee has released a new version of its app for iPad. This update supports receiving shared screens and annotations from PCs during group video calls. You can use group chat during video calls, view auxiliary camera feeds, and invite contacts from your iPad address book. It’s reportedly the first video chat app that’s FDA-registered and HIPAA compliant making it great for telehealth. And, in addition to being simple and secure, it’s absolutely free. In fact, now, with the $49/month version, you get unlimited screen share for you and for your meeting participants. This is starting to look like competition even for GoToWebinar. If your buddy in the cubicle next to you shouts that he’s seeing God on his computer monitor, he might not be joking. Global Outreach Day (“G.O.D.”) is coming up on May 25th. The inaugural event happened last year with so many amazing reports from around the world of people sharing Jesus with others and Jesus changing lives. Check these links out for ideas on getting prepped for GOD 2013. Networks serve a unique role in today’s world by facilitating the interconnecting of ministries and individuals both locally and globally. There are networks that are by nature restricted to specific geographic regions and others that intentionally focus on specific issues. Linking Global Voices serves network and ministry leaders as they seek to build relationships in the global paradigm of missions by tracking some 350 networks and providing a calendar of events of global interest. Send your network info or make corrections via their “Contact Us” tab. 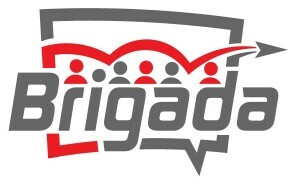 …The International Council of Ethnodoxologists, sponsors of Arts for a Better Future (ABF), who included with their $50 gift a note which read, “Keep up the great work Brigada!” Thank you! …Go International, who sent $30 along with information on a free book download. Amazing people. Thanks to the entire Brigada Today family for interacting on these and many other items. There’s a brain trust here. God is good. Thanks for being part of the Brigada family!